- Recruitment Agencies: MANILA SHIPMANAGEMENT & MANNING, INC.
- with one year On-board experience in the position applied for the same type of vessel. Manila Shipmanagement & Manning, Inc., or Manship, has been serving our ship-owner clients and mariners since 1988. Manship specializes in providing exemplary and honest service to boutique shipping companies who demand a premium and personal attention from their service providers to vessels, ranging from crude, product and chemical tankers, bulk carriers and platform supply vessels. 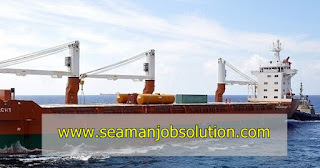 0 Response to "12X Able Seaman, Crane Operator For Heavy Lift Vessel"